Injured on a Carnival Cruise Ship? For many passengers, a few days on a Carnival cruise ship may be the trip of a lifetime. Many people are attracted to the wide range of activities available on these vessels, from jogging to rock-climbing to fast-paced water parks. Unfortunately, many of these activities are either almost completely unsupervised or they are overseen by regular crew members who may have little experience in that area. If guests are injured, the on-board medical facilities may be little more than a first aid station. The laws regarding maritime injuries are very complex, and the cruise lines add boilerplate language to the tickets. Generally, provisions about choice of law, statute of limitations, and other items that materially affect your case are buried deep in the fine print. 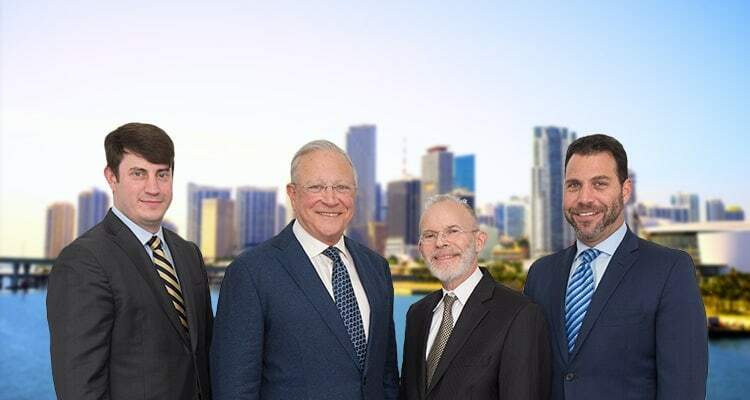 The seasoned professionals at Gerson & Schwartz, PA have almost 80 years of combined experience when it comes to cruise ship accidents. We are familiar with all the substantive and procedural rules in local courts, even the ones that are unwritten. Furthermore, we know the law and know how to make it work for you. We know that you are not satisfied with anything less than the best possible result under the circumstances, and neither are we. Passengers on board a Carnival cruise ship are invitees who are on the premises at the express invitation of the owner. As such, the cruise line has a duty to inspect the premises and ensure that they are reasonably safe. Certain other laws, such as the federal Shipping Act, impose additional duties. Slips: The multitude of swimming pools, water parks, and bars on most cruise ships creates ample opportunities for unseen spills, and though the ships are extremely stable, they do occasionally lurch and guests do lose their balance. Falls: A fall from an upper deck to a lower deck is often serious enough to break bones and cause other severe injuries, while a fall off the ship is nearly always tragic. Recreational Mishaps: When here is a sudden rush of people at a certain activity, the meager staff can be overwhelmed, and mistakes are often made. Intentional Torts: If a passenger is the victim of a crime while on board, the cruise ship is responsible for damages, even if the perpetrator was another passenger. Injury victims are normally entitled to compensation for both their economic damages, such as hospital bills, and noneconomic damages, such as pain and suffering. Even though most Carnival cruise ships are foreign-flagged vessels, and many on-board injuries occur in international waters, negligence lawsuits are nearly always heard in the Miami federal court, because Carnival is headquartered in the Magic City. This provision is important, because in most situations, Florida has a one-year statute of limitations in this area. Courts typically enforce these choice of law provisions, even though they may be fairly categorized as take-it-or-leave-it contracts of adhesion. The actual time limit may be even shorter, because Carnival commonly requires injured victims to provide written notice to the company within six months. Failure to follow this procedure may result in the claim’s dismissal. Other somewhat obscure legal provisions may apply, such as the International Convention for the Safety of Life at Sea (SOLAS) and Florida’s Special Maritime Criminal Jurisdiction law. Cruise ship injury victims must overcome significant hurdles to get the compensation they deserve. For a free consultation with zealous attorneys who are on your side, contact Gerson & Schwartz, PA. You have a limited amount of time to act.